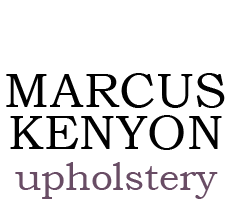 Marcus Kenyon Upholstery | Who are Marcus Kenyon Upholsterers? With more than one set of eyes on the ever changing fashionable world of upholstery our design team have been providing bespoke work for clients nationwide in the UK and across Europe since 1997. At the forefront of this industry we continue to provide our customers, private and commercial, with bespoke, hand-made furnishings using only the best quality beech and sycamore in manufacturing and high end textiles from the leading suppliers of material. Marcus Kenyon clients include many Premier League footballers, actors, actresses, reputable nightclubs, bars and many more high profile names within the design industry. Working closely with architects and designers throughout the UK and Europe we have been involved with creating a large variety of interior design schemes which have included home cinema projects right through to large hotels like the 5 Star Cedar Court Grand in York. Whether re-upholstering existing furniture or producing contemporary and traditional new pieces from sketch ideas, Marcus Kenyon Upholstery Ltd will always deliver a premium quality and fashionable product on time and to budget. Marcus Kenyon Upholstery Ltd design and manufacture furniture for the home, bars, hotels, clubs and many other places in need of high end fixed and detached furniture. Our team of skilled manufacturers use beech and sycamore as standard, whilst other materials are used when required and a complete laminating process is available. At Marcus Kenyon we manufacture beds, chairs, stools, bars, cinema rooms, sofas and much more. 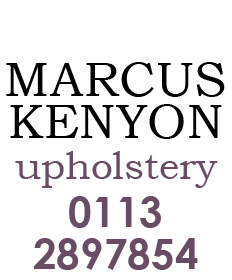 Marcus Kenyon Upholstery Ltd specialise in high end coverings and materials. On a day-to-day basis our specialist professionals use brands Romo, Clarke & Clarke, Linwood, Kobe and J. Brown among others. Delivery of your Marcus Kenyon manufactured and finished products can be arranged before, during or after your order has been made. Simply speak with our team and we will make sure that your desired product is with you at a time which suits you and your daily agenda. Like, follow, review and view the famous Marcus Kenyon around the web on all the popular social media platforms... come and say hi.